High-resolution audio purportedly provides a vastly superior listening experience to the highly compressed MP3s we’ve all been downloading for years. 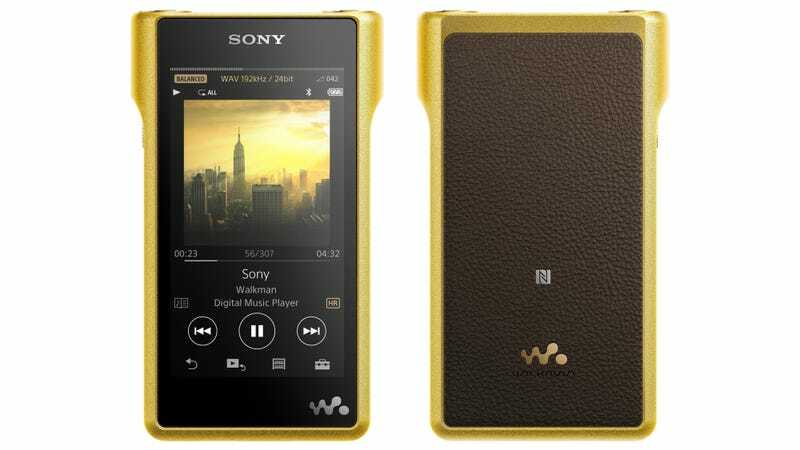 Convincing people to ditch their massive music collections and carry around a separate high-res player hasn’t been easy for Sony, but surely high-res audio adoption will now skyrocket thanks to this new $3,680 gold-plated Walkman, right? Last year we weren’t exactly thrilled to see Sony dragging the Walkman brand—one of the most successful consumer electronics products of all time—through the mud by tacking it onto a $1,200 hi-res audio player. But Sony has been targeting the highly-lucrative audiophile market for a while now, and amazingly, we suspect the company will sell a few of these portable players. The NW-WM1Z’s gold finish isn’t just a way for users to show off, though. The player’s chassis is actually made from copper, not aluminum, to reduce magnetic and other electronic interference that could take away from the quality of the sound being produced. According to Sony, if you’re a genuine audiophile, this is the version you’re gonna want to fork out thousands for. Other improvements include control buttons that are easier to press, internal electronics that further reduce noise during the digital-to-analog conversion of audio files, an improved software UI, and dual headphone jacks. All that being said, if the headphones that came bundled with your smartphone sound good enough for you, spending close to $4,000 on another MP3 player isn’t for you, even if you like the gold finish. But if you’re an audiophile who’s having private power lines installed to help improve your listening experience, the NW-WM1Z might keep you satisfied during your daily commute.